Hey there, fiber friends. Over the last month since my last post (YIKES! I promise I'm going to get better at posting more regularly), I've been struggling a lot and making some major life changes. I no longer am making knitted products on a regular basis, and am only taking custom orders on a capped basis. Basically what this means is that I can only knit one or two items a month outside of the patterns that I'm designing for fellow knitters. I did not make this decision lightly. It's taken me about four months to reach this conclusion and be okay with moving on from this part of my life and my business. I LOVE making clothing and accessories for the wearer. I didn't really set out to design patterns for other knitters. It was never my passion. But over time, I've really been able to find the joy and beauty in it. I love seeing how people interpret my patterns, and it's really begun to bring me just as much joy as seeing someone wear one of my designs. With that being said, I reached out to you all and asked what your favorite/most effective pain relief treatments are. This week, my chronic pain has been HORRIFIC. My neck is so tense it feels like someone is strangling the base of it constantly. I've been having problems swallowing because the muscles are so tight. In a pure moment of misery, I reached out to y'all to see what's really worked for you. This list is exclusive of basic treatments such as deep tissue massage, PT and acupuncture. Here are some of the amazing responses I got back from people, and a little bit of research on each one! Infrared Saunas are usually toted as trendy, fat-burning or calorie reducing. As of late, researchers in the chronic pain community have been studying the effects of this type of sauna in patients with Fibromyalgia, RA, migraines and other pain-related issues. Unlike a regular sauna, the sustained heat works deep into your muscles, without creating the fatigue or intensity of a dry sauna. I am trying out my first infrared sauna treatment this week and will definitely let you guys know how it goes! In this form of acupuncture, electrical currents are sent between pairs of acupuncture needles. This is used to treat acute pain, it can also help with post-chemo patients. This stimulates the areas being treated further than regular acupuncture does, as the electric current can unkink muscles and knots much deeper, truly getting to the root of the problem. My acupuncturist suggested this for me after my session this week, as my knots in my neck and shoulders returned back to their tensioned state within hours of my session. Electroacupuncture can be longer lasting and more effective. You can find more info about this practice here. Although cupping is very trendy right now, it's obviously been around for literally thousands of years. Scientifically speaking, western research has proven that cupping is effective when treating acne, facial paralysis and pain management. Eastern studies show it helps treat issues with blood flow, digestion, pain management, RA, fertility and anxiety/depression. The actual process of cupping sounds kind of terrifying. However, depending on your location, there are a lot of people who have MDs that also do cupping, in case you're like me and are scared to go to someone with no medical background! One of my amazing followers and my equally amazing mom suggested Magnesium spray when I was really struggling this week! I immediately went and ordered this product and am really pumped to try it out. When applied topically, magnesium oil can reduce pain associated with back issues, RA, tendonitis, RSIs and carpal tunnel. It can also be ingested via pill or powder to help strengthen bones and teeth and reduce the frequency of migraines. Other benefits include more restful sleep and clearer skin. Sounds kind of like a miracle plant, right?! Well--- apparently it is! There have been a fair amount of studies done on the effects of magnesium, and hundreds of thousands of testimonials. I'm not sure why it's taken me so long to try it out, but I'll definitely write another post on this when my spray arrives. I learned about TPI while watching Lady Gaga's documentary, Five Foot Two. First off, if you haven't watched this original Netflix doc, I would highly suggest it. If you or someone you know is struggling with chronic pain, this film really gives people a glimpse into what it's like to live your life day to day. 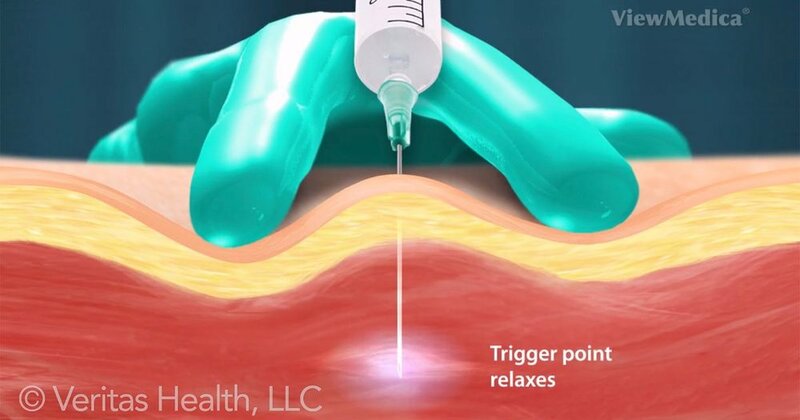 TPI can be used to treat pain in SOME patients. When you have knots that will simply not relax, an injection of local anesthetic, saline and sometimes corticosteroid. This renders the knot or the trigger point inactive and provides sustained relief. Thanks for reading! I hope you found something new to try out for your pain. And as always, make sure to consult your doctor before trying out any new pain management techniques.